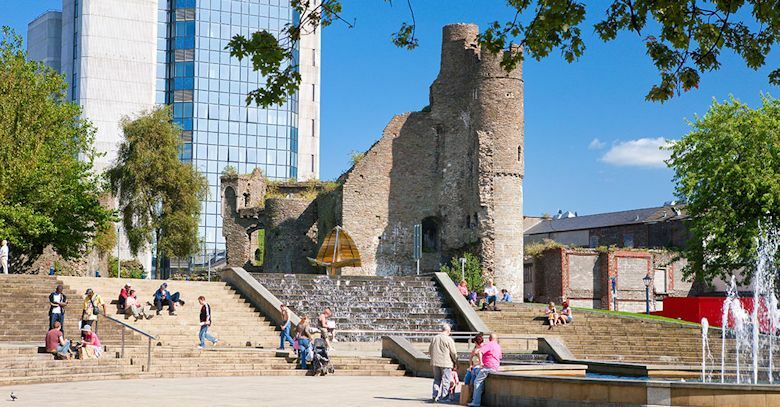 Swansea Castle was founded in 1106 by Henry de Beaumont who was a Norman nobleman, who later on became the 1st Earl Warwick. The original castle overlooked the river Tawe and the inner bailey probably contained a motte and bailey or a ring work structure. 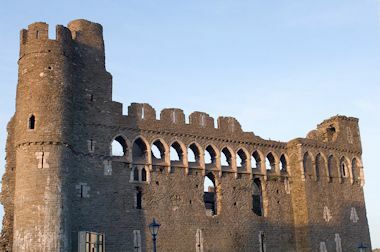 In 1116 the Welsh attacked the castle but the occupants held on to the inner castle, this was followed by a number of further unsuccessful attacks before the castle finally fell in 1217. The castle was razed by the Welsh and it would be a couple of years before being restored to the English in 1220. In the 13th C there was further building work undertaken and the larger outer bailey was also walled. By the 14th century the Castle had lost its military importance and by the time we get to the 18th and 19th century various parts where used as a prison, a market, a town Hall and a drill hall with some parts being demolished in the early part of the 19th century so that a newspaper office could be constructed.